(#117907781) Showdown Western Horse Show Apparel. Picture does not do justice. Color is much nicer in person. Color looks washed out in picture. Color normally is never quite accurate in pictures. Made by Levi Strauss. Size W 34 L 34. Regular Fit Straight Leg. Please check measurements. 100% cotton. 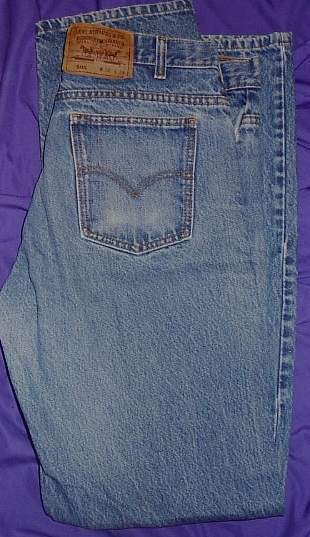 Denim Jeans. Measures about 16 1 /2 inches across the waist from side to side. 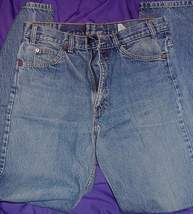 Measures about 44 inches from the waist down the outer seam. 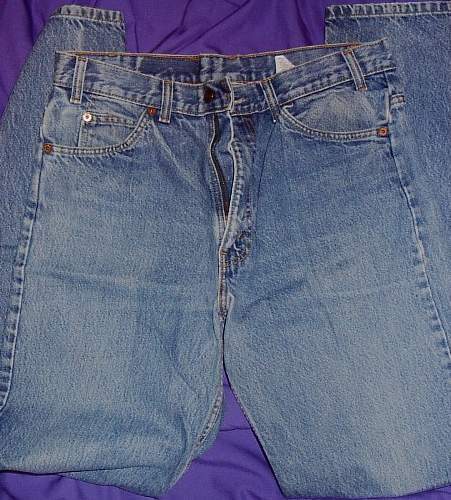 Measures about 33 inches from the crotch down the inseam. No rips, tears, or stains. A little wear in the crotch but not worn through. Also a little wear on the pants leg seam at the bottom of both legs. Great for the rodeo, horse show or just hanging out.